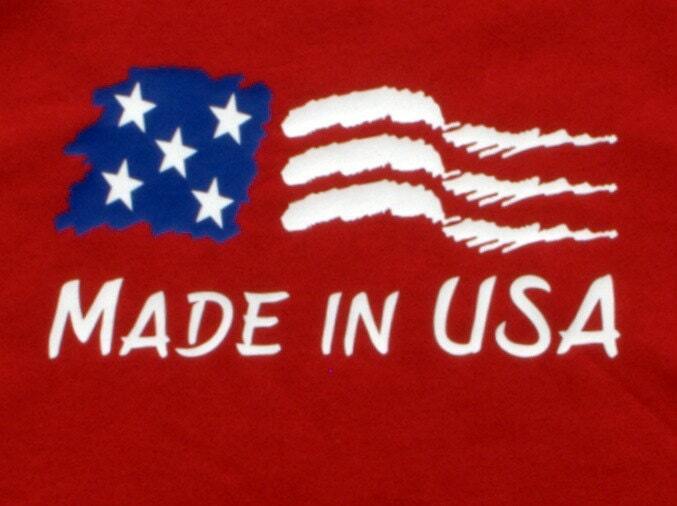 Red color toddler size t shirt with "Made in USA" design in white and blue heat transfer vinyl. T shirt is made of 100% cotton material. Available in sizes 2 T, 3 T, 4 T and 5/6. I have all sizes in stock and ready to ship. I also have this design available in a onesie, see my other listing to order.